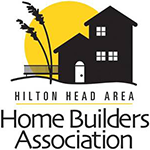 Hilton Head Home Builders Association is an association of business professionals that represent, promote and support excellence in the home building industry through education, community service and environmental stewardship. We are proud to be a top-rated member of Angie's List as well as the recipient of Angie's List's Super Service Award. We are proud to have won for "best for garage door repair" in 2017 and 2018. With one of the industry's most comprehensive screening processes, HomeAdvisor gives you the peace of mind that comes from knowing you hired a pro you can trust. Hilton Head Garage Doors is proud to be a top-rated professional on HomeAdvisor.